Thanks for being a part of the LEGACY OF THE HEART tour. . . . We hope you enjoy this collection of sweet inspirational romance. "If you love a mix of historical and contemporary, this is the perfect collection for you. Each story gives readers a taste of each individual author’s style and voice, so it’s also a great way to ‘meet’ some authors you’ve perhaps never read before. The stories are all unique and sweet, with tender romance, humor, and lots of heart. A great weekend read!" "So these five stories, all woven together by this mystical locket, all have their own charm (pun somewhat intended). I think romance readers will find that at least one of these couples and stories appeals to them. Another great summer day read." 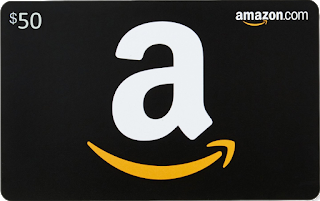 "This was a good, quick read. I enjoy reading anthologies and this is one of the best collections of romances I’ve read in quite some time. These authors truly knew what to bring their fans and gave them a beautiful book filled with hope, longing and inspiration." 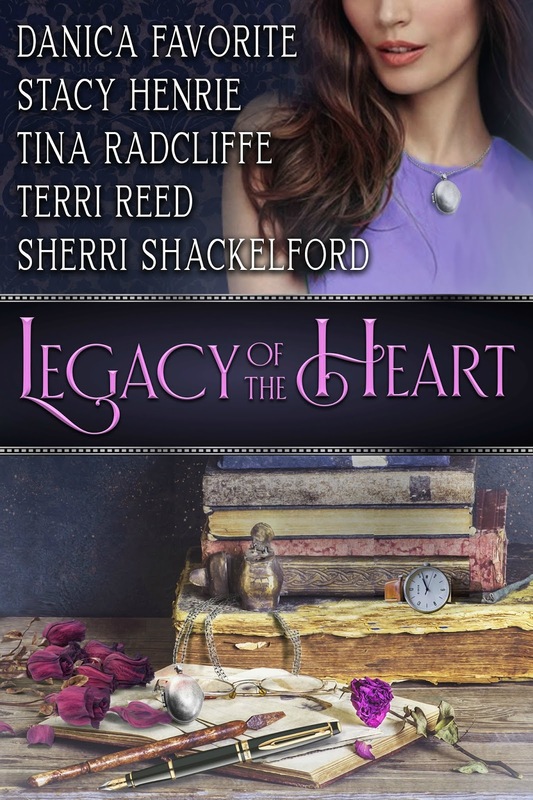 "Each author in Legacy of the Heart lends her voice and style to the overall collection that has a strong cohesion with the introduction of the locket. A definite must-read from lovers of novellas, lovers of romance, or lovers of a great story collection." "Legacy of the Heart was a wonderful novella collection. I enjoyed all five of the stories and liked how some were historical and others were contemporary. The way the locket played a part in each novella was interesting and I really enjoyed how it connected them." "I enjoyed all five of these stories. I did find them predictable but I did not care. Such a good, sweet, clean, and romantic book. 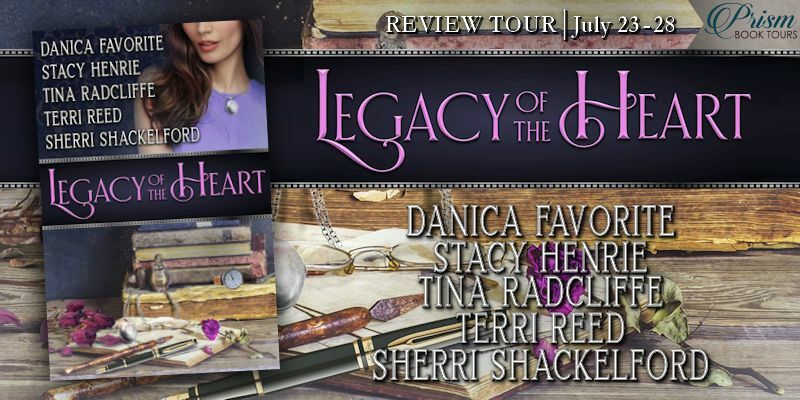 I give Legacy of the Heart 4 1/2 stars. It is most definitely worth a read." "I enjoyed the stories in this collection and seeing the locket pass from one character to another. The first two stories are historical, and the last three are contemporary." "Legacy of the Heart is a collection of 5 really wonderful romance stories. For me, reading these stories in the order that’s in the book was better for me to understand and get the full stories. . . . What interest and fun it was to see this locket play out in each other the stories, in its own way. I highly recommend this book for those looking for a good clean romance collection." "I enjoy novella collections that have a common thread woven through them like this. The authors did a great job with the continuity of the theme. I was impressed by the way the characters who were introduced in one story were so naturally and seamlessly carried into the next as the main character." "Legacy of the Heart was such an enjoyable novella collection! . . . I liked the continuity that the locket brought to the collection, yet, I also appreciated that the novellas were each unique in the way the locket played into the plot. . . This is definitely a good collection to grab hold of for fans of sweet and inspirational romance!" An antique locket with the power to inspire everlasting love unites the five stories in this stunning collection of historical and contemporary inspirational romance novellas! In Heritage of Love, Danica Favorite takes us to the Chicago world’s fair, where a chance encounter will spark an opportunity for true love, if only the young couple can first overcome polite society’s rigid rules . . .
Stacy Henrie tells the story of a sheriff desperate to escape the matchmaking efforts of the women in his small town, only to discover that his attempts to sidestep them may lead to eternal love and happiness in By Any Other Name . . .
Tina Radcliffe’s Forget Me Not paints the picture of a charming antique store, where love will blossom when two strangers learn the secret about a long-ago hurt and a love that never died . . . In The Lost Locket, Terri Reed introduces readers to two people who have given up on love and will fight their undeniable attraction until it may be too late . . .
And in Winning the Fireman’s Heart, Sherri Shackelford shows us two long-time friends forever searching for the perfect mate, until a gesture of kindness reveals the love that’s always been waiting for them . . .
A self-professed crazy chicken lady, Danica Favorite loves the adventure of living a creative life. She and her family recently moved into their dream home in the mountains above Denver, Colorado. Danica loves to explore the depths of human nature and follow people on the journey to happily-ever-after. Though the journey is often bumpy, those bumps are what refine imperfect characters as they live the life God created them for. Oops, that just spoiled the ending of all of Danica’s stories. Then again, getting there is all the fun. A USA Today bestselling author, Stacy Henrie is the author of more than a dozen inspirational historical romance novels and novellas. Her books include Hope at Dawn, a 2015 RITA Award finalist for excellence in romance. Born and raised in the West, where she currently resides with her family, Stacy enjoys reading, road trips, interior decorating, chocolate, and most of all laughing with her husband and kids. Originally from Western, N.Y., Tina Radcliffe left home for a tour of duty with the Army Security Agency stationed in Augsburg, Germany, and ended up in Tulsa, Oklahoma. 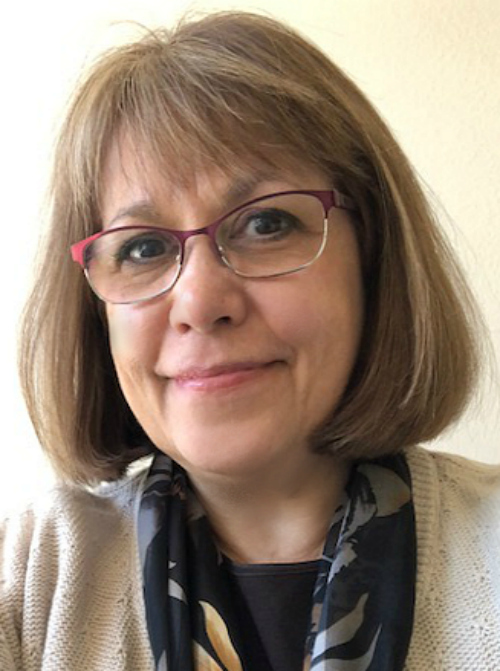 While living in Tulsa she spent ten years as a Certified Oncology R.N., followed by a move to Colorado, which led to a career as a library cataloger. 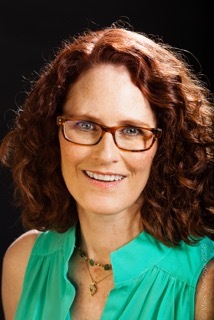 A freelance writer for over twenty years, Tina is an RWA Honor Roll member, a two-time RWA Golden Heart finalist, two-time ACFW Carol Award finalist, and a 2014 ACFW Carol Award winner. She currently resides in Arizona, where she writes fun, heartwarming romance. Terri Reed’s romance and romantic suspense novels have appeared on Publishers Weekly Top 25, Nielsen’s Bookscan Top 100, have been Amazon Bestsellers and featured in USA Today, Christian Fiction Magazine, and Romantic Times Magazine, finaled in the Romance Writers of America’s RITA contest, National Reader’s Choice Award contest, and American Christian Fiction Writers’ The Carol Award contest. Sherri Shackelford is an award-winning author of inspirational, Christian romance novels for Harlequin/HarperCollins Publishers. 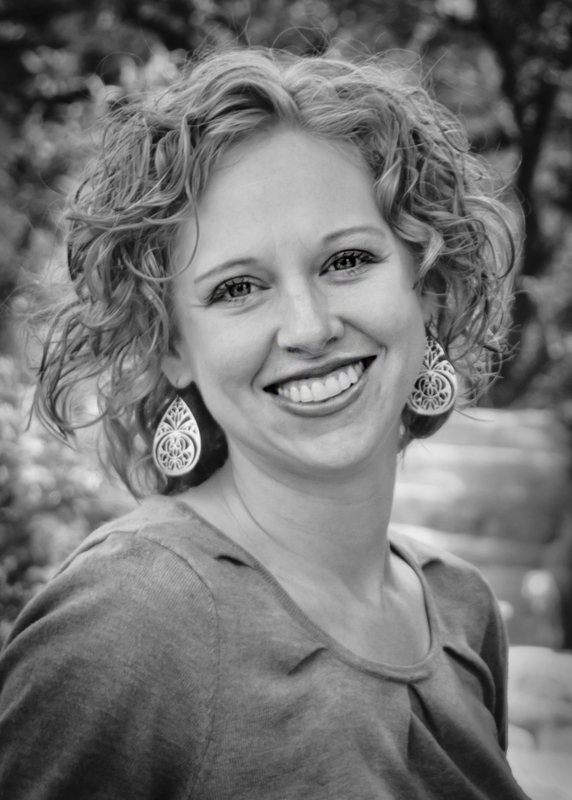 A wife and mother of three, Sherri’s hobbies include collecting mismatched socks, discovering new ways to avoid cleaning, and standing in the middle of the room while thinking, “Why did I just come in here?” A reformed pessimist and recent hopeful romantic, Sherri has a passion for writing. Her books are fun and fast-paced, with plenty of heart and soul.